Does your child enjoy the Harry Potter series? Have you ever wished there was a way to make this passion more educational? I know my children adore the world of Harry Potter. It started about 8 years ago when my oldest was around 7 and she read the first book. She has since read the whole series dozens of times and has passed her enthusiasm to her siblings. The Harry Potter series is an epic adventure that appeals to people of all ages – J.K. Rowling has created a world within our own full of magic and mystery, heroes, villains and quests to save the world. What child wouldn’t daydream about getting an owl inviting them to study at Hogwarts School of Witchcraft and Wizardry, shopping for your very own magical wand in Diagon Alley, and winning the House Cup. 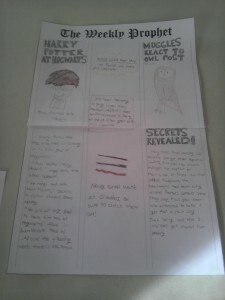 I took my children’s passion for these stories and created what I hope will be a series of unit studies covering all of the Harry Potter books. 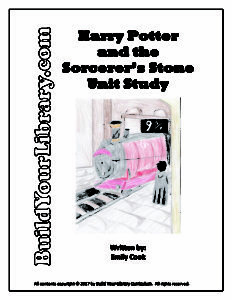 This unit covers the first book in the series, Harry Potter and the Sorcerer’s Stone (Book 1) . 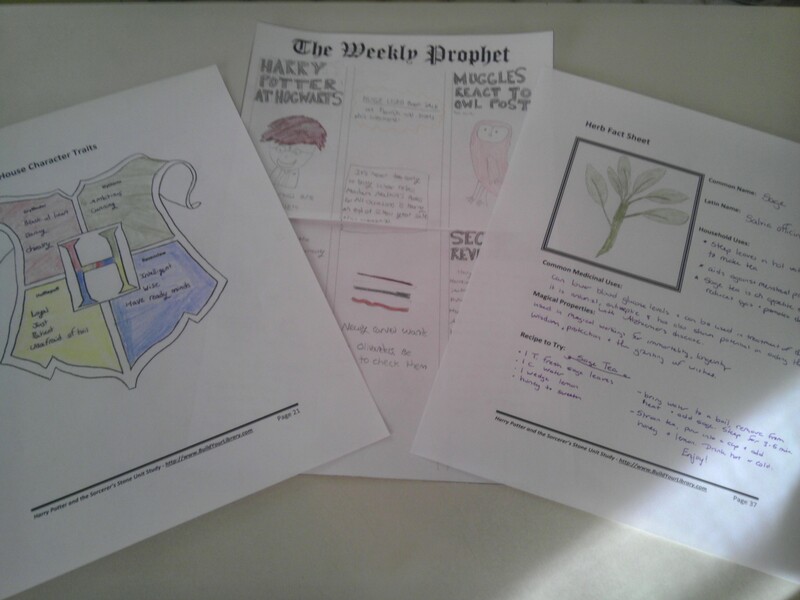 While reading the book, your child will write their own Wizarding newspaper, make a wand, create a spell glossary (while also learning a bit about latin and word roots), begin a field guide of Magical Devices, and study a Hogwarts course – this unit covers Herbology – a study of Plants and Herbs with just a touch of magic. You will use two books – Eyewitness Plant (DK Eyewitness Books) and A Kid’s Herb Book: For Children of All Ages as well as complete a variety of projects, from dissecting a flower to studying the lifecycle of a plant to creating a field guide of herbs. This unit study takes approximately 3 weeks to complete, and is appropriate for upper-elementary through middle school. The unit is 37 pages and contains more than 10 activity pages, as well as a complete literature study, including vocabulary, copywork and dictation passages, and discussion questions. As a reminder, if you are going to purchase books we would greatly appreciate the use of our provided Amazon Links or our Amazon Store! Thanks! 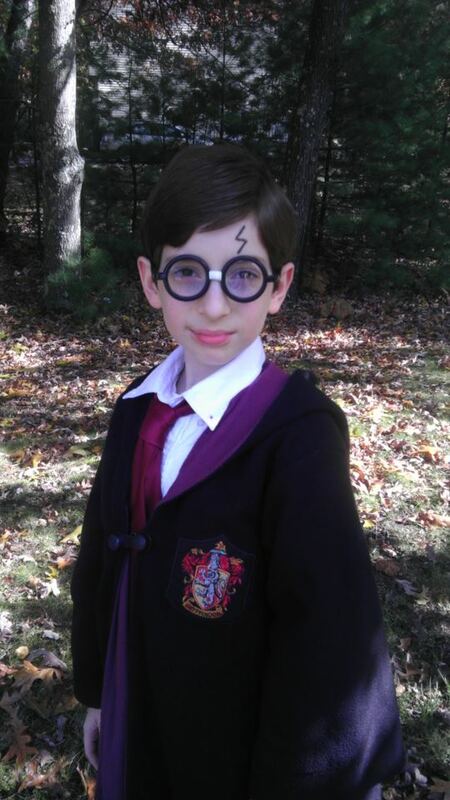 I am a homeschooloed seventh-grader and THE biggest Harry Potter fan. My mom has been looking for a Harry Potter curriculum for me. Even though I have read the books 2647363485674865789 times, I hope she’ll let me do this curriculum. Thanks so much for this. That is awesome! My kids are huge fans of the Harry Potter series too. I hope you get to try it out! [Customer Testimonial] We are on week 2 of this unit study and LOVE it, I’ve recommended it to all my friends. You did a great job making this and I absolutely adore the books you used. The worksheets are really fun and nicely designed. Thanks so much for doing this. Thank you Meredith! I’m so glad you and your children are enjoying it! Thanks for spreading the word. We are on week 3 and my son asked when we could do Harry Potter and the Chamber of Secrets. He is loving this! If you plan to come out with any more Harry Potter unit studies, count us in. Thanks for making learning so much fun. I’m so glad you are enjoying the unit! I’m hoping to have Chamber of Secrets finished and ready to purchase within the next few months. We just started this unit study a few days ago and I have to say that it is FANTASTIC! The first thing we did (because we were already several chapters into the book) was build wands. I wish we could post pictures her because I would love to show everyone just how much fun this was and how great the wands look! My 8yo daughter is a reluctant writer. She has surprisingly spent a lot of time working on her editions of the Weekly Prophet and her Magical Devices pages. Just today, she wrote out two whole pages of instructions on how to play Quidditch! We also started Herbology today, donning our wizard hats. My kids arrived for their first lesson wearing their Ravenclaw and Gryffindor robes. This is just so much fun! I am so happy, Emily, that you have unit studies for the next two books as well. When we get a little more into this one, I am going to do a giant blog post about it! I just wanted to pop back in and share my blog post about this unit study. I shared some pics of my kids having fun wand making, writing, and reading their Herbology! We are still enjoying it so much! My daughter is reading Harry Potter for the first time, and begs to do this unit everyday. She absolutely loves it. Thank you for creating this!